The Big Energy Saving Week (BESW), a national campaign dedicated to helping UK households find a cheaper energy deal, is back for its 7th year in 2019. Between 21st – 27th January, the campaign will be spreading a ‘Check.Switch.Save’ message to UK consumers, letting them know that switching energy supplier could reduce their energy bills. The Big Energy Saving Week is run as a partnership between Citizens Advice, the Energy Saving Trust and the Department of Business, Energy and Industrial Strategy (BEIS). During the week, if any of your customers turn to you for advice about switching energy suppliers, you can direct them to our Energy Switching Guide which has everything they need to know. Pay the Boiler Guide Twitter account a visit during Big Energy Saving Week for more energy saving advice, tips and guides that will help your customers to cut their energy bills. 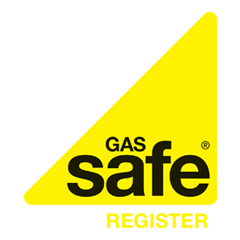 If you’re a Gas Safe heating engineer looking for new customers, register for free for flexible access to 1000s of high quality boiler sales leads. Register for free today.